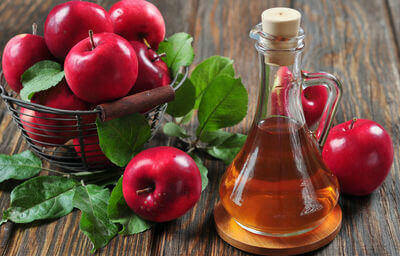 Apple cider vinegar is one of the most potent ‘all-purpose’ tonics around. Among its huge array of health benefits, multiple studies have found that it may help lower blood sugar levels. The traditional uses of apple cider vinegar are vast. To name just a few, it has been used to ease digestion, aid in flu prevention, reduce inflammation, regulate pH balance, alleviate allergy symptoms, ease nausea and heartburn, as a staple in detox regimens, and for a number of skin conditions, including reducing acne and smoothing wrinkles. One study, conducted at Arizona State University by Doctors Carol S. Johnston and Andrea M. White, PhD, surveyed 11 people afflicted with type 2 diabetes. The researchers found that taking two tablespoons of apple cider vinegar right before bed lowered the blood sugar levels of these individuals by 4 to 6 percent by morning. Another study led by Dr. Johnston gave subjects, some with insulin resistance and some without, 20 grams of apple cider vinegar and 40 grams of water. Results showed that the after-meal blood sugar levels of the subjects with insulin resistance lowered by 34 percent when they drank the apple cider vinegar. Yet another study, performed at Tokyo University in Tokyo, Japan, discovered that the acetic acid found in vinegars inhibits the activity of carbohydrate-digesting enzymes, including sucrase, mastase, lactase and amalase. This inhibition results in select sugars and starches passing through the digestive system without being digested, having less impact on blood sugar levels. When choosing an apple cider vinegar, make sure to select one that is organic and unpasteurized, as the pasteurization process can destroy many of the health benefits. Organic, unpasteurized apple cider vinegar may have a cobweb-looking solid floating inside; this is known as mother of vinegar, and is a natural cellulose produced by the vinegar bacteria. Mother of vinegar is harmless, and let’s you know that the vinegar is actually unpasteurized. Most vinegar manufacturers nowadays pasteurize the vinegar before it hits the shelves, to get rid of the mother of vinegar, and in turn, a lot of the nutrients that the vinegar offers. Hey Buddy!, I found this information for you: "Multiple Studies: You Can Control Blood Sugar with Apple Cider Vinegar". Here is the website link: https://www.thealternativedaily.com/multiple-studies-you-can-control-blood-sugar-with-apple-cider-vinegar/. Thank you.